Most probably the best resort in the Milky Way ski circuit, Sestriere was the first purpose-built village in the Alps. The resort gained international renown during February 1997 when it hosted the World Cup Ski Races and it was selected to host the 2006 Winter Olympics. Now an international resort, a magnificent area with over 400kms of pistes with excellent skiing for all grades in spectacular scenery. 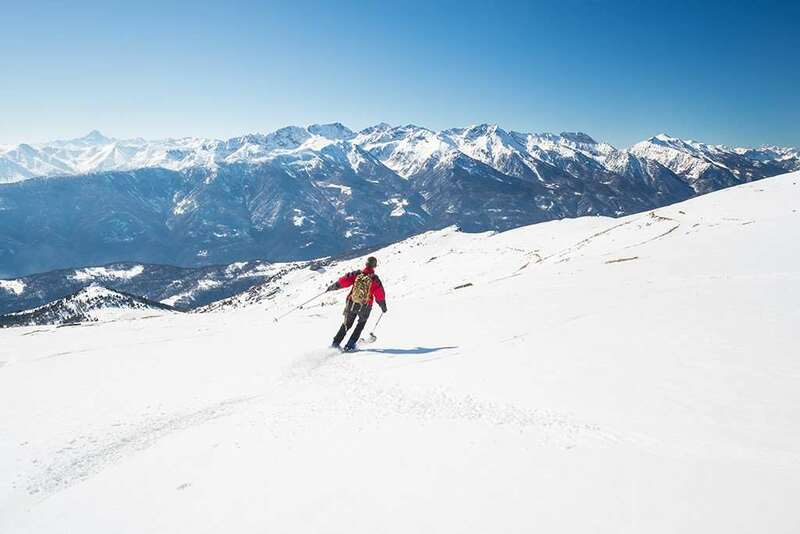 All levels of skier should find something to sink their teeth into on ski holidays in Sestriere. Because it's at high altitude, there is top-class snow, supported by widespread snowmaking. Cosmopolitan and lively, with many overseas visitors in addition to Italians and British there is an international atmosphere. Pinkies Pizzeria for après ski drinks, Irish Igloo for great music and a lively atmosphere, Spotties Bar for cocktails and Tabata disco. Osteria Barabba is a great wine bar/restaurant. Sestriere's restaurants range from friendly pizzerias and bars to elegant restaurants. · Pinky Pizzeria for pizzas, The Cavern for a more international menu and Osteria Barabba for typical local foods. The nearest airport is Turin/Torino – Caselle (TRN) Location: 16km North of Turin, 90km east from Sestriere. Perfect snow in April, quiet slopes, long varied runs that challenged, but allowed some great speed... apres ski was also good - so what more to ask? After visiting Sestriere in February 2013, I wanted to go back. The resort provides a good skiing school with good instructors. The instructors take you through runs, and if you are a beginner, they are very good at teaching you how to ski. Once you get to intermediate level, the instructors stop teaching you as much and you start learning by practice. The runs they take you through are fun and long. It may be daunting to see the colour black on a run during a lesson, but the instructor will control your pace and make sure you aren't in very deep water. 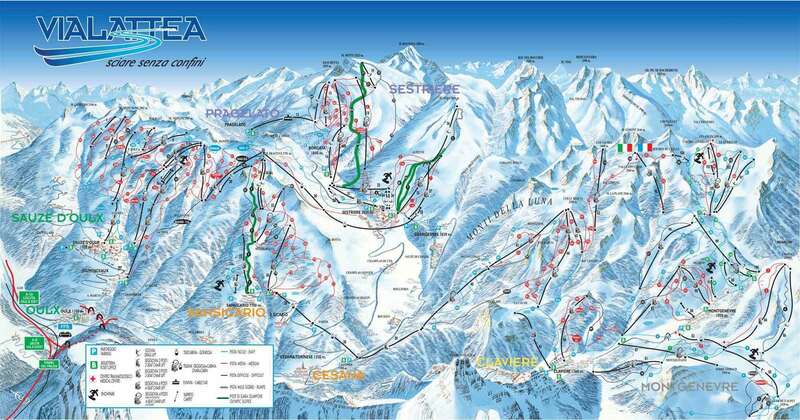 The ski resort has a ski park, with quite good jumps and there is the Olympic run, a black run used for alpine skiing during the Sestriere Winter Olympics which is thrilling to go down. Almost all runs end up within 5 meters of a lift, meaning you can hop right off the slope, onto a lift, and onto another slope. The slopes are maintained well and are groomed, the lower ones at least, although the black slopes are sometimes not groomed as much. Not grooming the blacks creates moguls, giving you a challenge. I would recommend this resort to everything from high intermediates to beginners.